I hope you are all doing well and are having a wonderful week. It was time for me to talk about going self hosted as a blog. I made the switch in late July so it had been a full month now that I have been a self hosted blog. It was quite a daunting move, but a very exciting one. But I have learnt a lot along the way. I’m sure a few of you are curious about the process if you are interested in making the move yourself. It wasn’t something I intended to do when I first began blogging but as the months grew on and I was finding out more about the blogging community I discovered blogs which had the most beautiful themes and were able to do more on their site than what I could. So I did my research and learnt about ‘WordPress.Org’ and blogs which were self hosted. This peaked my interest and from then it was always on the back of my mind. You might be asking what the difference is between WordPress.com and WordPress.Org? There are a few differences between the two but to break it down into simple terms WordPress.com is the free version where you don’t have to worry about hosting or site maintenance whilst WordPress.org is the self hosted version of WordPress which means you can have ultimate control over the features of your blog. If you wish to find out more then you can click – here – to read more about it. The free WordPress is a wonderful platform to start blogging on, it welcomes you into the community and it really helps to introduce the process involved in blogging. I thought it was wonderful, I was able to build a blog that featured posts about everything I was interested in. This was so exciting to me, I could communicate with people all around the world and interact with fellow bloggers on similar topics. This was great for a while until I started stumbling across these blogs that were more customised and had the most beautiful themes. I wanted to do more with my blog and I was really getting frustrated with the restrictions that was placed on me. I wanted to be able to adjust the layout as often as I wanted, set up a shop to sell some designs or even alter the colour of hyperlinks when ever you hover over them. I’ve got so much more freedom now to customise my blog to my exact specifications and I am not limited to a certain layout or format. Even something as simple as font was so important for me and I was able to pick one that matched the minimal appearance I was striving for. I like things to be a certain way and going Self Hosted allowed me to explore those fields. 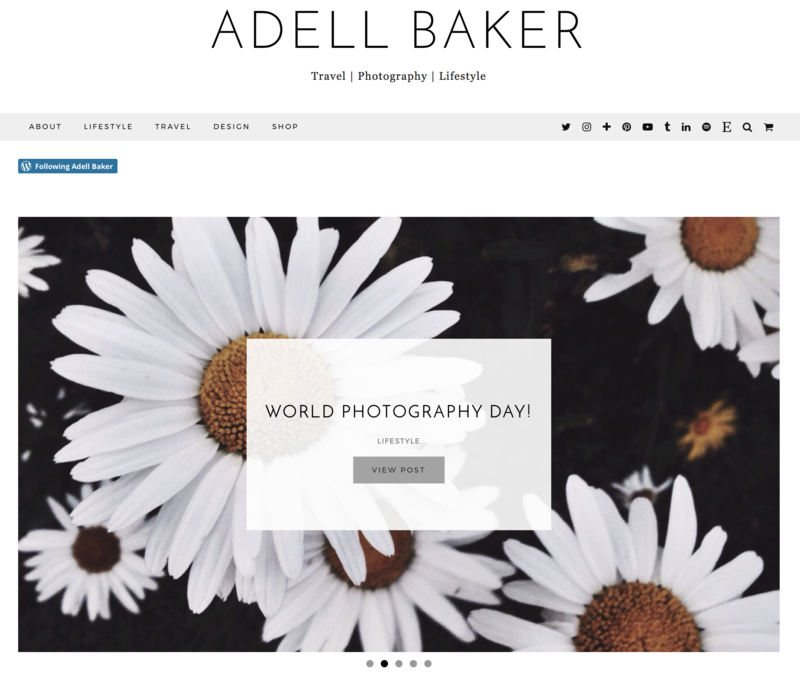 My old domain name adellbaker.wordpress.com wasn’t too bad but it was a bit long-winded so swapping it to the new domain adellbaker.com was a lovely feeling. It was short and to the point and is an easier name to remember. It has a more professional feel to it and sounds more formal. I spent a few months before making the move reading blog posts and learning about what it actually means to go self hosted and the process that is involved. The whole process basically means WordPress are no longer hosting your blog on their platform and you will need to choose a new web hosting service that will fill that role in for you. Despite thinking I knew the majority of it, when it came down to actually making the move there was even more things I had to learn in a very short space of time. It wasn’t an easy move, honestly it was so daunting the amount you need to become aware of. Not to mention it being in a field that not many people are familiar with. I would definitely say WordPress was my safety net, it was my comfort zone and stepping out of that was scary. I went through so many mini panic attacks, worrying that I didn’t do something correct or I was going to lose all my hard work. One important step of the move is the hosting service. I did a bit of research and found the most affordable company was Siteground. They can even do the transfer process for you helping move your content from one blog to another. But through my many panics I ended up migrating my blog over by myself which I didn’t realise I did till later. I guess I was so impatient I couldn’t wait. I had a lot of questions to ask throughout the move, so I spoke with one of their many team members who are more than happy to answer any questions in the live chat. Since then I’ve spoken to them a few more times in regards to some of my concerns and each time they have been more than helpful. I think one of the chats lasted over an hour, and they really make sure your questions are fully answered. So the customer support with this company is really positive. 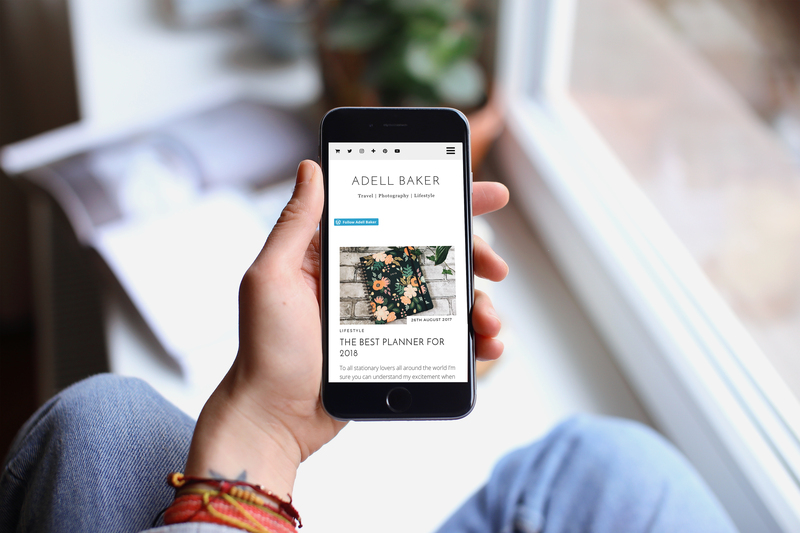 I chose the Start Up Plan for £2.75 a month with 10GB of storage and I think that is more than enough for the majority of bloggers, but if you feel you need more then there are two other options. They sort out the migration, storage, security updates and offer any support if you need it. I also had to pay for my domain name which is an annual payment of £10 a year which isn’t too expensive. The price that they advertise isn’t the price you will generally pay in the end as additional add ons do start making the price creep up. One add-on that you might not have considered is keeping you personal information private when registering for a domain. Your personal information is published in the Whois Public Internet Directory which can be viewed by anyone at anytime which is required by the Internet Corporation. If you register for Private Domain Registration there is greater safety of your personal information from spammers, telemarketer and data miners. Your home address is kept safe and you have a reduced chance of identity theft. So this is really something I recommend you to consider in your costs despite the added expense. There were a few issues along the way in terms of transferring followers and ensuring the comments was also moved over as well. One thing to note is any likes on blog posts is unable to be transferred over so you really do start from scratch in that sense. It is a little disappointing that there is no support for migrating blog post likes and I would say this is the only negative I have with the whole process. Oooo, this was the fun part!! And one of the initial reasons as to why I made the move in the first place. Once you have gone through the whole migration process and your blog is set up, you then get to pick your blog theme. You have the choice of a WordPress one or choosing one from another source. There was two companies I had in mind for this Station Seven and Pipdig. Both companies produced beautiful layouts and are so aesthetic! They are the bloggers dream! I kept them on my radar for a while flicking back and forth trying to decide which one to go for. It was a very tough decision as there honestly is so many beautiful themes. I had my eye on a theme by Station Seven called Analogue and Equinox by Pipdig. In the end I purchased my theme from Pipdig after taking ages to decide. I was torn between so many themes. You can buy themes and change them as often as you want but I really wanted to find that perfect one. The great thing about themes from Pipdig is the endless customisation and the variety of layouts you can achieve. As you may find my theme looks slightly different from the images they portray. This is down to altering the layouts and colours. What made me go for Equinox was the minimal tones and the delicate fonts and layouts. I loved how things were displayed and I felt it would work so well with my blog. The focus would be on the pictures displayed instead of the text, I wanted it all to blend in and work as one composition. And one month on I still love it as much as I did on day one. After purchasing your theme you can either request them to install it for you (free of charge) or install it yourself. 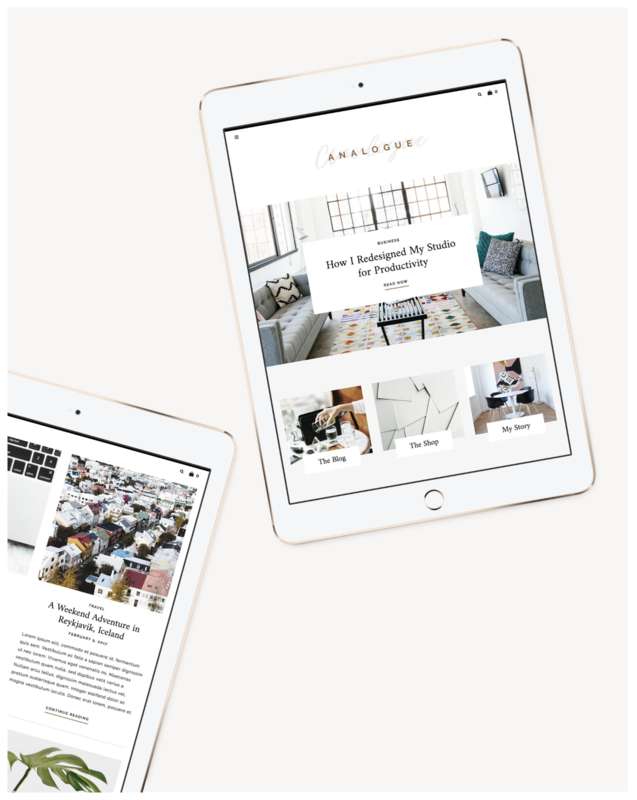 This is when you can start customizing your new blog!! This was the best part of the whole process but took me. It took about two days to get the blog to look how I wanted. I just went down each option in the customisation bar and tweaked them about until I was happy. You will be really surprised with how many options there are for you to play with and the combinations are endless. Overall, the process went better than I expected. It was worth the money in every way, there are a few things to consider in terms of cost and whether it is right for you. But I recommend you read blog posts, do your research and I am sure you will come to the right decision. I have come out of this process a lot more knowledgeable and I will take what I have learnt with me in future challenges. Be sure to keep an eye out for a blog post I’ll be doing at later date on Plug-Ins that I recommend that would work really well for a self hosted blog and how they can boost statistics and keep your blog safe from malicious attacks. If you have any questions regarding this post feel free to comment and I will answer any questions you ask to the best of my abilities. Don’t hesitate to ask! I hope I have helped inform you on the process, do let me know if you are thinking of moving or have already moved. I would love to hear. Man, I’ve wanted to transfer to self-hosted, but man, it stresses me out to think about. But, like you I do love the freedom of it. Your design is lovely by the way! Well, that’s good to know that they are really helpful! Thank you so much! 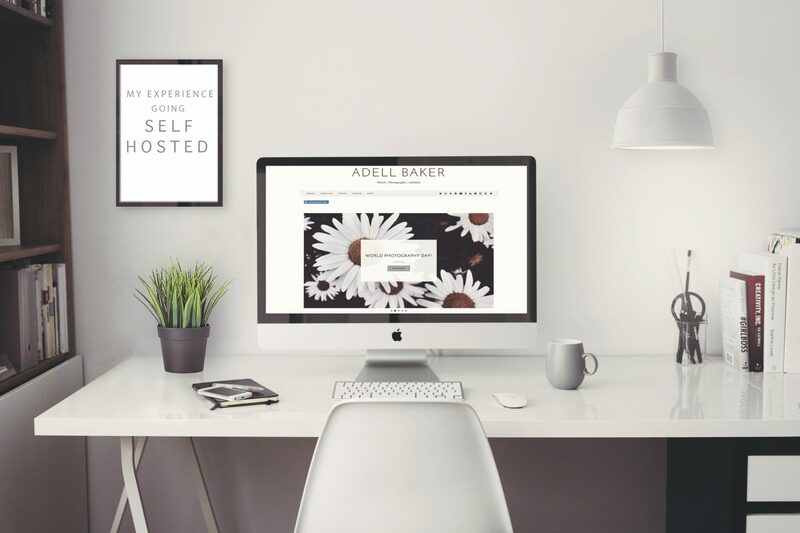 You can go into self hosting not knowing nothing except the company you want to host your blog with and the theme you wish to use. I am interested in coding and web development so I did learn more than necessary and did steps in the move that could have been handled by the professionals at Siteground but I was able to do by following help pages online so It is entirely possible to do it yourself. Really interesting thank you Adell. Well you won’t need to worry about losing followers, or blog posts it’s still there as siteground the people that I’m with handles that all for you. It just gets transferred over and people will still be able to see your new blog posts. I ended up doing the transfer myself in the end and I didn’t find it too hard. I was too anxious and chose to do it myself as I couldn’t wait. The one thing that you cannot transfer is likes sadly and that is the only annoying thing. With a domain name the cost for you going Self Hosted would be even cheaper and you can still keep your old blog just in case you want to go back. I still have my original blog but I’ve put it on private so only I have access to it. I have a bit of a soft spot for that blog. The theme was such a hard choice as there was so many to choose from. It is a bit of a nervous process moving but you can trust the professionals who do this every day and have become experts so nothing will go wrong if you let them do it. I think the idea of it is scarier than it actually is. If you do decide to go Self Hosted don’t be afraid to ask for help and I can give any advice if you want to drop a message. I’m more than happy to help. Hi Adell and thanks so much for dropping by my brusheswithwatercolour – really nice to have you visit. I’m super impressed with your site, the breadth and quality of content and how it’s all presented – it’s great and, if I had a hat, I’d take it off to you! 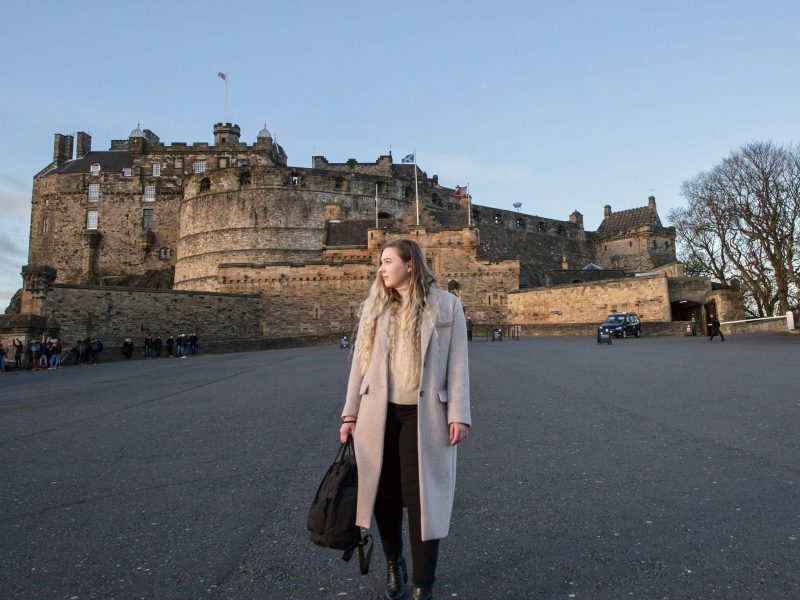 I particularly enjoyed this post as it’s something that I’ve considered and perhaps aspire too, but at the moment the .com option is serving me well and doesn’t require too much of my time to maintain. I’ll definitely be revisiting here again though when I need to pluck up the courage to take the leap! Thank you for taking the time to leave such kind words in this reply. In terms of actually going Self Hosted the hardest part was building up the courage to actually make the swap and picking a theme! I spend some time researching the process that goes into Self hosting and despite it being a mission it was fairly easy. Pipdig who I brought my theme off can help Personalise your theme to your work and can do all the designing stuff for you. I didn’t want to wait so I decided to go through and start customising my blog to my liking. It didn’t take to long to get my head round it and once you find a style you like you don’t really have to do it again, unless you want to change it up. Siteground who hosts my blog did all the complicated changes and switch over so it wasn’t complicated at all. The first month is the month when you make the changes and get the blog how you like it but after that you don’t really mess with it. So it is just as easy to maintain as a wordpress.com blog. I wrote my blog posts and post them just as I would when I was with WordPress and I have noticed I haven’t been putting in any more effort than I did before. Just remember change is going to be hard at first but after that it becomes so easy and second nature. I would really recommend switching if you ever get chance. It doesn’t cost too much and the satisfaction you get afterwards it just amazing. And it only get easier from when you first swap.